Despite what students think, design is a team activity. 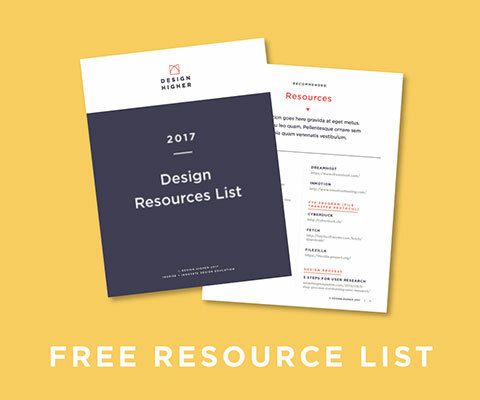 Design involves multiple minds and areas of expertise. 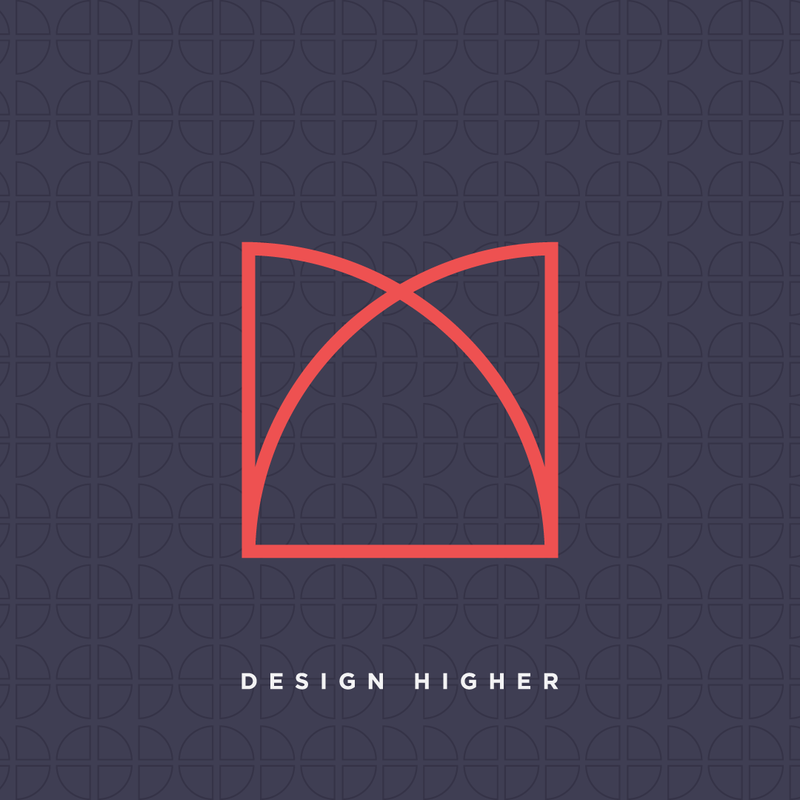 Project-based learning is critical for design education since it closely aligns with the real-world experience of working professionally as a designer. Plain and simple — industry is looking for designers who work well with others. You can help your students have more success working in teams! 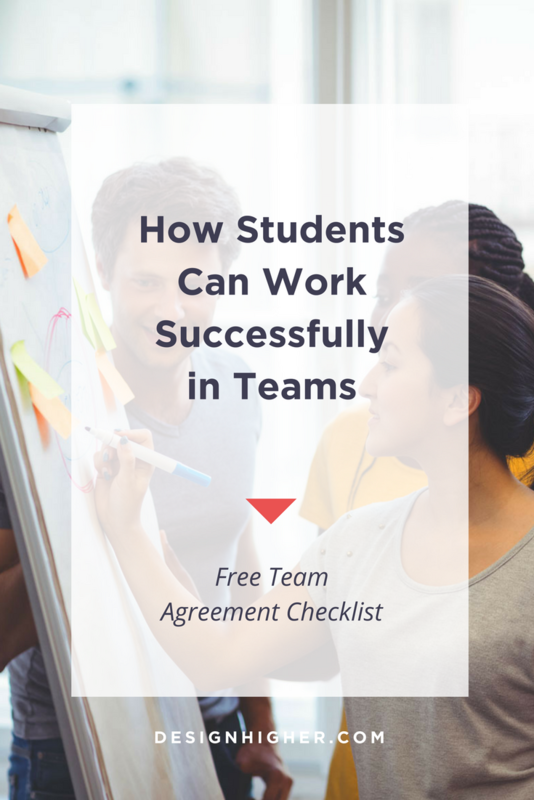 Let’s face it, most students would prefer NOT working in teams. 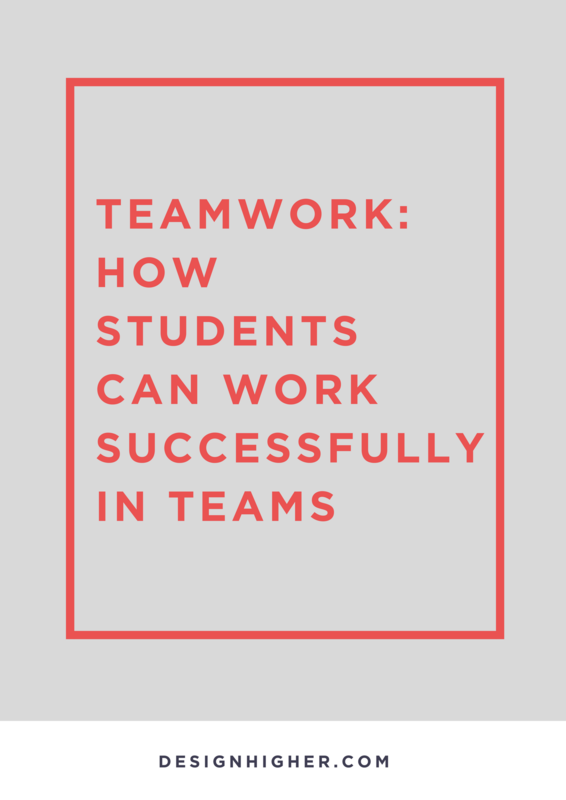 Most students find working in teams, well… challenging. I wondered why and so I asked my students. They felt they had to make up for team members who slacked off and didn’t do their share of the work. 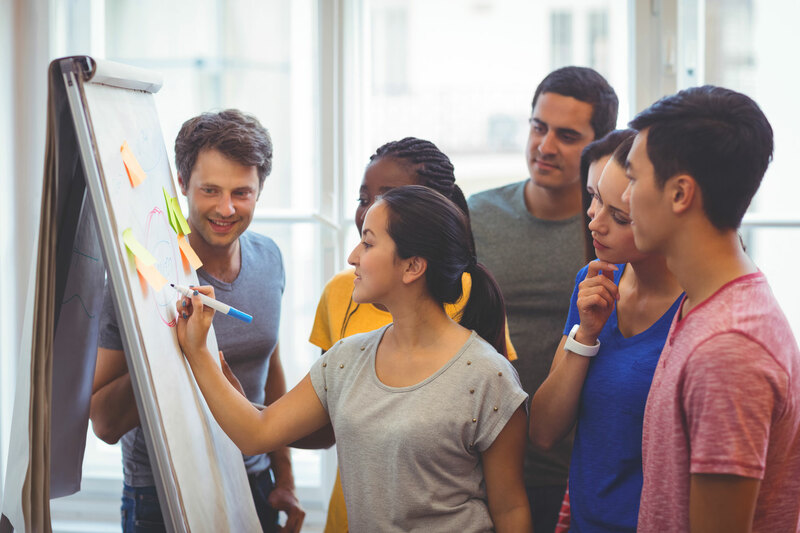 Here are other considerations that make it difficult for students to work in teams. Students feel short on time. Requiring teams to work outside of class involves planning ahead of time. This can be stressful to students who feel they simply don’t have extra time outside of class. Be sure to schedule some time in class for students to work on team projects. When a team experiences a conflict or has a disagreement, students are unsure how to handle the situation. Their first instinct may be to “shut down” the team member by ignoring or dismissing his or her ideas. It’s important for students to understand that everyone wants to (and should) be heard! It’s helpful to go over effective strategies so students have a better understanding of how to be a better team member. How do we teach students to be effective team members? While students prefer working with students they know or their friends, the evidence doesn’t support that building the best teams means combining the best people. What distinguished the ‘‘good’’ teams from the dysfunctional teams was how teammates treated one another. Share this article with your students and encourage increased awareness and sensitivity towards teammates. Another good idea is to ask team members to sign the Team Agreement before the start of the project. Download this agreement here. Randomly assign teams. Do you randomly assign teams or let students pick their teams? You may want to randomly assign team members. It’s closer to real life situations and there’s no evidence that the best students create the best teams. Incentivize teams. Reward the team who works best together with a “Best Team” award at the end of the project. Assign a team leader. Assigning a team leader (or have the team pick a leader). The leader is responsible for spearheading conflicts and is the liaison between the team and the instructor. Team Agreement. 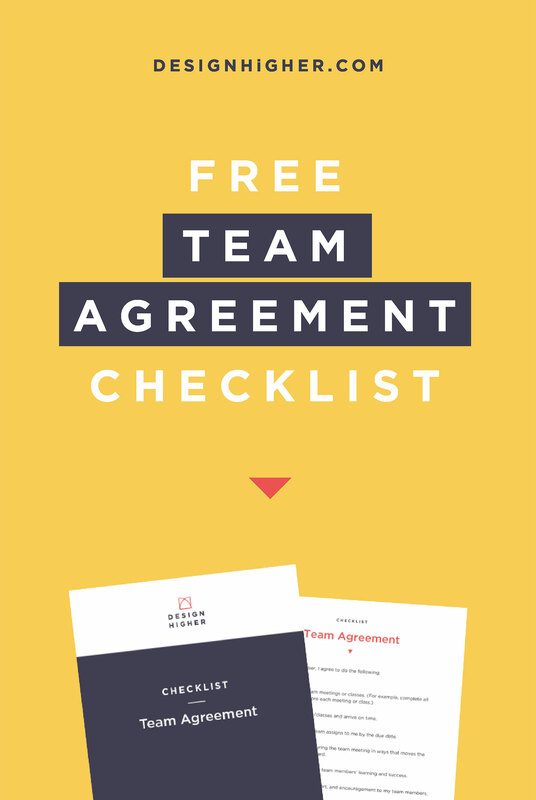 Ask team members to sign the Team Agreement before starting on the project. Included in this agreement is the commitment to provide assistance, support, and encouragement to fellow team members. Outcomes. Make it clear that not all members of a team may receive the same grade for the project. Students will be assessed based on their work and contributions to the project. Time in class. Give students time in class to bond and create activities that require sharing and listening to one another. Break teams in pairs. Break teams into pairs so they can report to the other pair(s). This can solve the problem of a student “floating away” from the group. Use a project management tool. Encourage students to use a project management tool like Trello, Basecamp, Asana, or Slack to collaborate with one another. Prepare students for conflict and disagreements. How should they handle disagreements? If not given strategies, students will close down and the team quickly can become divided. Everyone gets heard! Make sure all team members are heard. Have students document all ideas and include reasons why ideas were picked and why other ideas were not. Why did the project move in this direction? The direction of the project needs to be determined by team consensus, not one individual. Require a schedule. Make sure students create a schedule with an active to-do list including who’s responsible for what task. Require that two people are responsible for a task so no one person can hold up the project. Intervene early. Intervene early if you witness or sense a conflict. (It can be very obvious through body language!) Often students wait until the “wheels fall off a project” to report a problem. Team survey. Provide an opportunity at the end of class for students to complete a survey on how the project went. What tasks were they responsible for? Who did what? How was it working in the team? What would they do differently next time? Give students an opportunity to let you know if there was a problem. Again, make it clear that not all members of a team may receive the same grade for the project so this is the time for students to be honest about the project and each members’ contributions. Regardless of your strategies to prevent a “situation,” you may have a student who resists working with others. In that case you may want to intervene and stress the importance of team skills. In rare cases, you may consider allowing a student to work alone. (In my experience, solo projects typically have poor outcomes, so this should be the last resort). Working in teams is challenging!! But it helps to have an effective process and strategies in place and to be very transparent about what the potential problems are and how students can deal with them. Share this article “What Google Learned From Its Quest to Build the Perfect Team” with your students and encourage awareness and sensitivity towards teammates. Another good idea is to ask team members to sign the Team Member Agreement before the start of the project. Included in this agreement is the commitment to provide assistance, support, and encouragement to fellow team members. Download this agreement here. What are your experiences with team projects?